Northrop Aircraft Inc., Hawthorne, California. 1948. 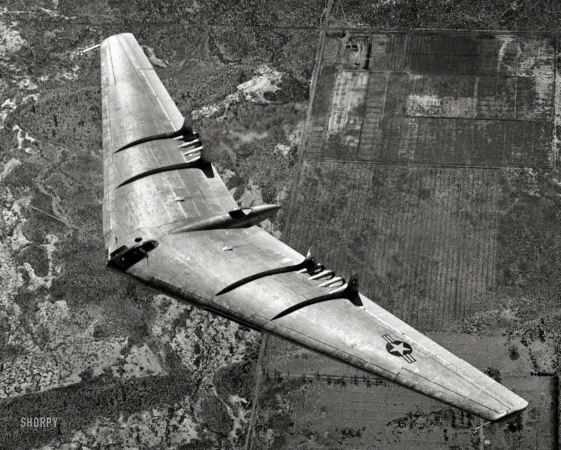 "Aerial view of U.S. Air Force's 100-ton Northrop Flying Wing YB-49 jet bomber in flight."